UK based independent game publisher, The Irregular Corporation, is announced that specialist Gaming PC component manufacturer, MSI, has joined the PC Building Simulator project as a partner. MSI’s GeForce GTX 10 and Radeon RX family Gaming series GPUs will be fully recreated and function accurately within the simulation at launch. The powerful Z370 GAMING PRO CARBON & Z270 GAMING PRO CARBON motherboards will also be part of the PC Builder’s toolkit. 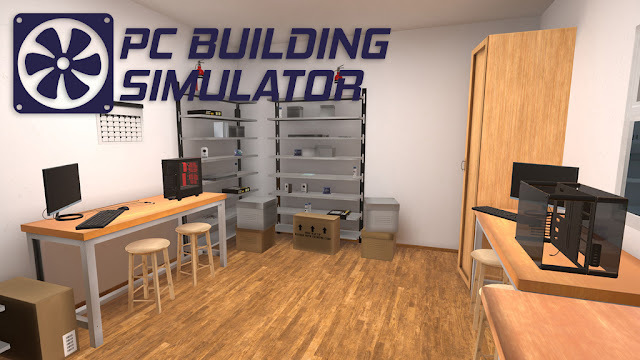 PC Building Simulator puts players in the shoes of a PC builder, working within their own shop to create fully functioning gaming PCs. The game features a large array of detailed and accurately rendered components from motherboards to CPUs that respond just as they would in real life, and players have the ability to experiment with the installation of these components while fully animated installations let the players see exactly where each part slots into the computer. "We are proud to cooperate with The Irregular Corporation and believe with the MSI gaming products integrated in the game, we can make PC building more accessible and fun to beginners together," said Ted Hung, VP of motherboard sales at MSI. freedom to preview their own creations and play independently when they feel they are able. PC Building Simulator hits Early Access on March 27th. You can add PC Building Simulator to your wishlist today at http://store.steampowered.com/app/621060/PC_Building_Simulator/.